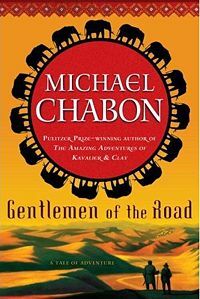 Gentlemen of the Road takes place in the 10th century, partly in the Arran region of Azerbaijan, and includes two Jewish mercenary characters (Zelikman and Amram) who learn about the Jewish empire of Khazaria, and travel there over the course of the story. They soon get involved with the attempt to restore the legitimate prince's family to the Khazar throne following a bloody coup. This novel was serialized as 15 weekly installments in The New York Times Magazine from January 28, 2007 to May 6, 2007. The book has extra material, including black-and-white drawings by Gary Gianni. Kevin Alan Brook's nonfiction book The Jews of Khazaria and this website, Khazaria.com, were among the main historical sources used by Chabon to research for this novel. "Writing, for me, is about what I love, what I'm passionate about, what sets my heart and brain on fire. ...in different ways, at different levels, with different effects, but with the same unstoppable obsessive-compulsive drive, those are all things (Holmes, Holocaust, parrots) that I can't stop thinking about. Same goes for elephants, swordsmen and the early history of European Jewry. ... I no longer remember where I first read about the Khazars, but it was not long after I first discovered Borges, say in 1982, and I remember wondering if this article or encylopedia entry or whatever it was might be some kind of elaborate historical hoax. A medieval empire at war with the Vikings and Byzantium that lasted for more than four centuries, that was famous all over the world at the time, and everybody was Jewish! What? How come nobody ever told me about them? The Khazars felt like secret knowledge, and secret knowledge is definitely a source of inspiration for me." 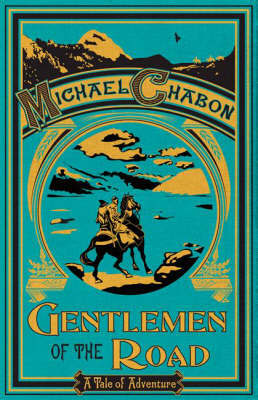 Michael Chabon is an American writer who won the Pulitzer Prize for Fiction in 2001 for The Amazing Adventures of Kavalier and Clay (2000). He is also the author of The Yiddish Policemen's Union (2007), The Mysteries of Pittsburgh (1988), and other works. HOW TO ORDER "GENTLEMEN OF THE ROAD"